How one church declared winter dead and invited it’s community to join the party! Wow! This winter has been a long one! Polar vortex … record low temperatures … record high amounts of snow … it’s been a tough one!! 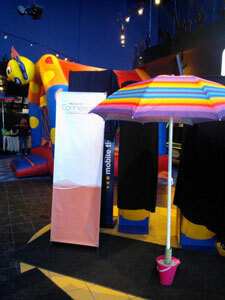 I love what Connexus Church did to leverage the negative feelings about winter and celebrate spring. I asked Shawna Lester from Connexus to help us understand what they did and some lessons learned. I love this because it’s making a “big day” out of thin air and helps drive some excitement about a month before Easter. Maybe this is something your church should pencil in for next winter!? We were Dreaming of Summer so we declared winter dead! Connexus Community Church is a portable church meeting in 2 movie theatre locations within 30 minutes of each other. This winter our locations experience the toughest season of snow we have had in the 6 winters since launch. Saying this winter was brutal is almost an understatement. Each of our campuses fought through the snow every Sunday and while some churches cancelled, we never missed one! Our teams knocked it out of the park every week. It’s not all sunshine and roses….in fact we still can’t see the grass (today is April 1st ) because we still have at least 2 feet of snow on the ground. We started to wonder if the snow madness was affecting our people. We knew it was affecting us a staff so it must be dragging our guests and volunteers down too. What could we do to fight against the weather bug? 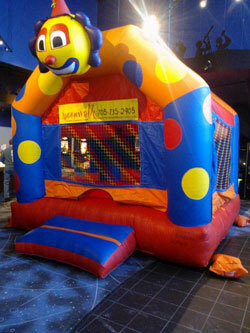 Our Children’s Ministry team wanted some fun that would have an invest and invite strategy behind it. They launched 2 events late Feb and early March that would encourage kids to invite their friends. They hired “Mad Science” to put on a one hour large group show on a Sunday morning. The team followed this up 2 weeks later with a “Pajama Jam” on spring forward Sunday- kids could come to church wearing their Pj’s , have breakfast and have some fun activities with their small group leaders. We saw a huge energy boost to our kids and leaders as a result. We even saw more families choose to make the move to the early service. Our adult service planning team followed up 2 weeks later with a “March Meltdown” Sunday. We all wanted summer to come as quickly as possible so on Sunday March 23 we declared winter dead. We sent off winter with a mini carnival to celebrate summer. Our hospitality team served lemonade umbrella drinks in the foyer as our guests came in while the children played in the indoor bouncy castle and caught a few fish in the fishing pond. We made some cotton candy and played some summer tunes. Our teams wore their summer attire and helped our guests get in the mood. Our service opened with “Let it Go” from the Disney hit of the season Frozen. While we had hoped that all this would bring snow relief, it didn’t. We experienced more winter weather! Hosting a festival like this takes a lot of work from the entire staff, with locating props and creating an extra environment, and we’ve learned some valuable points from observing some weakness within that morning. We learned that communications between ministry’s is important in having the entire church on the same page and contributing to the event within their ministry. We felt as though we could have used more communication between our Service Programming Department team and our Children’s Ministry team to help implement some more crafts and games to reflect what we had set up in the foyer and in the Adult Service. In hindsight another communication error happened with our organization of volunteers. We felt that we didn’t organize our volunteers to have enough extras to run the games and activities efficiently. We also learned that consistency is important. We had planned for our band to dress in summery clothes, but the results weren’t so convincing. It was hard to tell the common theme in the band, which made the effect fall flat. We’ve decided to keep some members of our teams consistent so that the effect isn’t lost. We determined that if we would like to do theming within some of our teams, we would have to orchestrate those changes ourselves to keep the consistency. March Meltdown was a great invest and invite opportunity for our guests, and here at Connexus we feel we can do a better job of preparing our church for those opportunities. Children’s Ministry had an invest and invite Sunday planned every 2 weeks leading up to March Meltdown and we hoped the momentum would carry through to that Sunday having mentioned it the Sunday prior and in that week’s blog post. However we think more social media coverage would boost our guests’ opportunity to invite their friends that they have been investing in for some time now. March Meltdown was a great way to declare winter dead. Our guests loved the festival in the foyer and were glad that winter was over. We have some great things to work on to improve our future events but overall the morning was a win for Connexus! Will Mancini discusses vision clarity for church leaders.